A nice Birthday Christian message for you. Happy Birthday to you. God loves you, me too. under his care and protection. he shows you his kindness. under showers of joy and peace. Happy Birthday to you. God loves you by Mery Bracho. 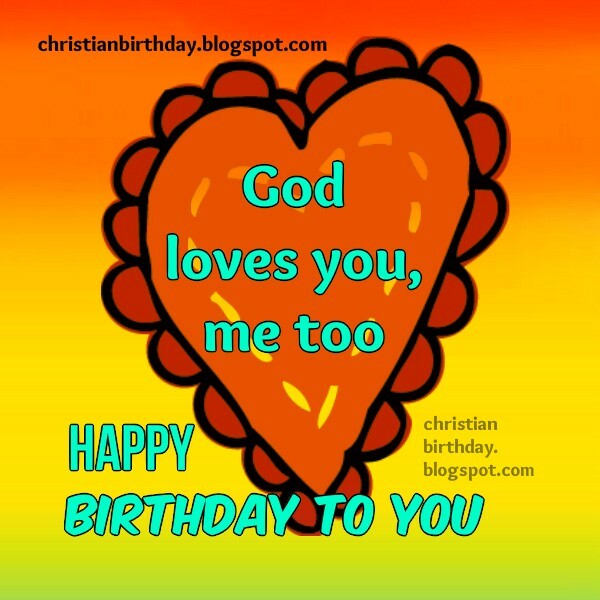 Free christian birthday cards for family and friends, daughter, son, children, sister, brother.